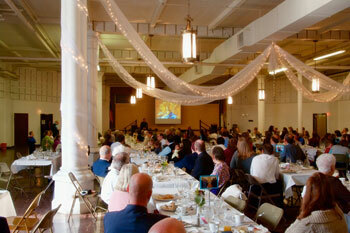 Many faithful signed up to pray for individual seminarians at last Sunday’s Seminary Society breakfast fundraiser. On behalf of the Institute and the Seminary, Canon Huberfeld and I, along with Abbe Alex and our candidates, offer our profound gratitude for your enthusiastic participation in this fundraiser, which generated $2,654.00 before expenses, not including the generous donations received at Sunday Mass. 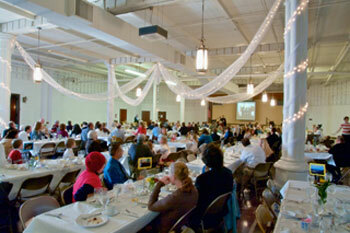 We extend our special thanks to all who organized and prepared this wonderful event for our dear seminarians. With many photos, our Vicar Canon Huberfeld gave a lively presentation about the daily life at the Seminary, where each seminarian conforms to the rhythm of work and prayer throughout the day and week, in the grandeur of the liturgical cycle throughout the year. The Seminary is the heart of the Institute, because assuring a close union with the Most Sacred Heart of Jesus is the most important part in the formation of our future priests. 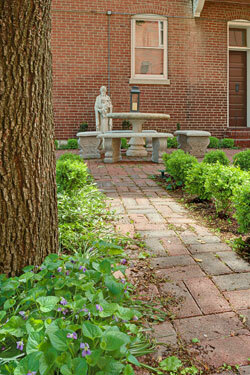 The holy work at the Seminary cannot be done without the spiritual and financial support of all the faithful. Your contributions are an investment in eternity, and are returned with prayerful gratitude from every member, especially the seminarians, of the Institute. Thank you! 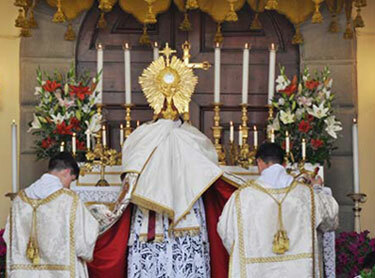 Praise to the Divine Heart that wrought our salvation: to It be glory and honor forever. Amen. A partial indulgence is granted to the faithful, who visit the Most Blessed Sacrament to adore it; a plenary indulgence is granted, if the visit lasts for at least one half an hour. 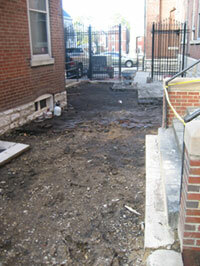 As these photos show, we have begun a second phase of our garden renovation to beautify the exterior of the Oratory campus. After removing the asphalt in the courtyard between the rectory and the convent we discovered countless well preserved bricks which can be used for redesigned walkways. Soon we will start to prepare the grounds by digging out the bed of the walkways and adding a 4-inch layer of crushed gravel. Please contact the rectory if you are interested to help us in this effort which will enhance the entire inner courtyard between church and 1888 building. In preparation of the feast of the Immaculate Conception on December 8, St. Francis de Sales Oratory will welcome guest homilists from November 29 to December 7, inclusive. The Blessed Virgin with her title of the Immaculate Conception is the primary patron of the Institute of Christ the King Sovereign Priest. As in previous years, the Novena is meant to help us to understand better and contemplate more deeply the meaning of this central mystery of the Catholic faith. 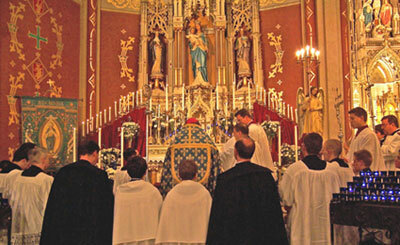 The list of guest homilists includes the Most Reverend Robert Joseph Hermann, Father Michael Witt (Rector of the Kenrick Seminary in St. Louis), the Canons of the Institute Talarico, Avis and Huberfeld, Father Brian Harrison, Father Eric Kunz, Father Thomas Keller and Father Gregory Lockwood. Please come and participate with us in this important spiritual exercise which includes Masses (Sunday 10:00 AM, Monday - Friday 6:30 PM, Saturday 8:00 AM), followed by a procession in the church.